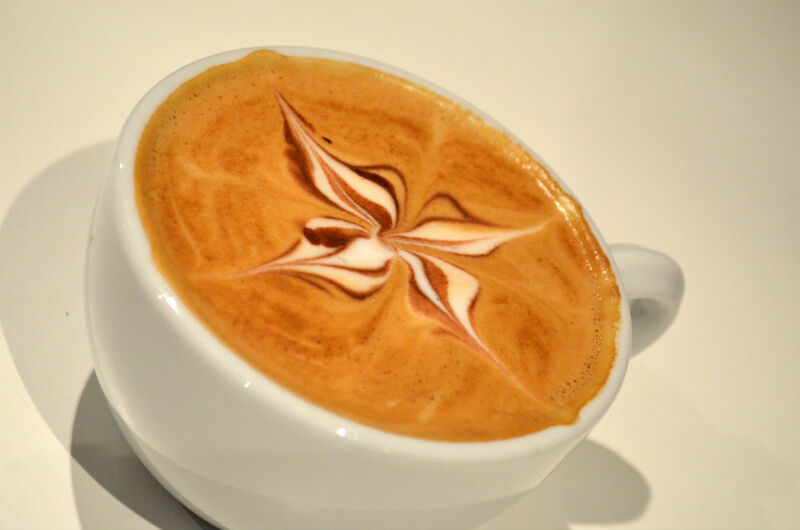 About 50 people attended Salute Espresso Bar‘s competition, the Latte Art Throwdown, to witness six baristas create their culinary artwork live for the audience in a head-to-head challenge. Cameron Rankin, an employee at Salute Espresso Bar, came away with the win. Cameron believes that what’s been started here today is a fantastic momentum point to carry on. When the idea for the Throwdown came to Dane, he talked to his staff about it and they were really excited. The coffee used throughout the evening was roasted by Whipsaw Coffee Roasters. An announcement of the next date will be made in the following weeks. The competition is open to baristas from any coffee shop and the general public.